Here in Vancouver WA some of the best views in the city are of the Columbia River. But if you want a great river view, chances are you're going to need to consider remodeling an existing home. In every city across America, view property, especially waterfront views, are difficult to find. They are scarce because they aren't making anymore land. Even 100 years ago people loved having a view, so some of the first homes that were built have views and water views have always commanded a higher price. There are other reasons why it can be smarter to remodel an existing home. Keep the parts of the home you like and change the rest or add on what you want. New construction is always more expensive than remodeling. 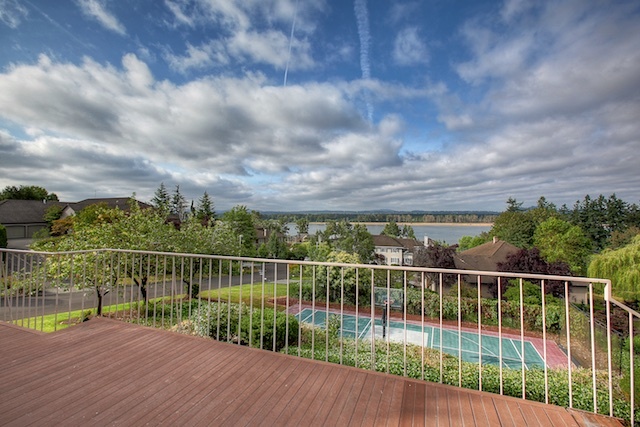 A few weeks ago I listed an amazing home overlooking the Columbia River. Over 4700 sq ft with a great room open floor plan, perfect for entertaining. Take a look at this Rivercrest Home.